Extend. Take a look at our computing overview,which will provide ideas for using ipads to cover the new curriculum. You can find some posts about computing here on my blog too, which will have more recent reviews and updates. Please get in touch if you have any more recommendations! Some apps to encourage early computing skills. There is a wide range of Toca apps that support children to learn basic control skills. They are great fun and my children love them! 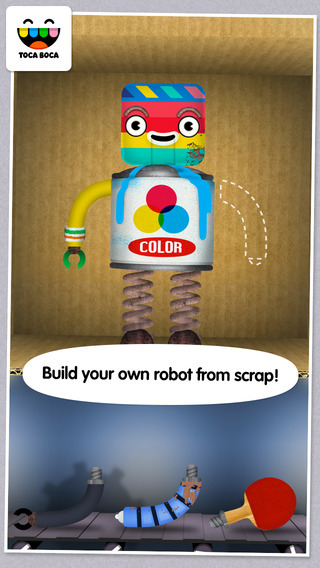 You can read more about Toca Robot lab here, or see more of Toca Monsters here. Some are free, others are paid for. Croco studio has created this lovely little app where you get to build and test out 15 different toys. Great fun! You can read more about it here. £1.99 There are two other apps available - rockets and planes. I managed to get this one free via apps gone free. Thanks to Louise Stone for drawing my attention to it. Build a car is a great little app for early control. Our EYFS children love it! 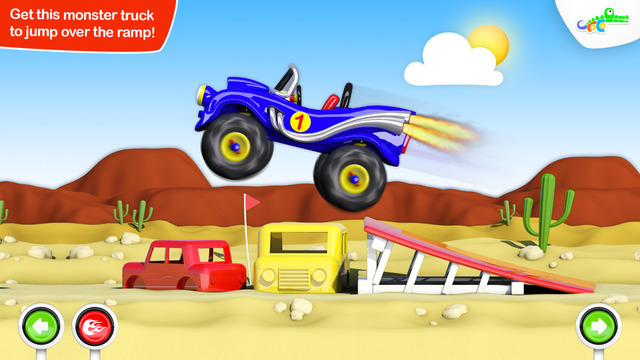 Create a car is another super little app which the children love. Create your car then take it for a test drive! Learn the basics of programming with Daisy the Dinosaur. Our favourite classroom friend comes to the ipad with the Beebot app. A.L.E.X. another great app shared by @skinnyboyevans. A bit like beebot, but with a robot. There is no age recommendation to these, other than they are in my view a step on from the early skills apps. This well known resource is now available in app form. It's free too! Marvellous! I had this app on my ipad for ages, but hadn't got past the signing up part (always puts me of!) I was inspired by seeing another teacher's work to have a go - and it is brilliant! I made a purple monster / mini car game. Make your own games quickly and easily with this! And it is FREE! Move the turtle teaches simple programming skills to primary children. 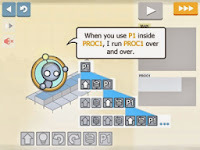 Try Hopscotch for some more free coding for kids. It will remind you of scratch, but is more simple. Thanks to @skinnyboyevans for sharing. you can see his blogpost here too. 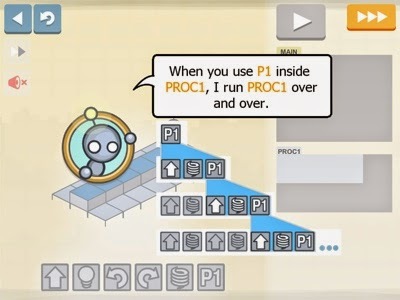 Cargo-bot is a great little app where you have to teach the robot to move crates. Sounds easy ... but try it out! Cato's Hike is a great little programming app that puts me in mind of kodu. try the lite version first to see what you think. Thanks @skinnyboyevans for sharing this gem! A lovely little problem solving app that @JennyH68 shared with me. You can try the lite version and there is now a second app too. I like a lot! Not an app, but BYOB's snap is a scratch style programming resource that works on the ipad! Free! These apps require a lot of logical thinking and are great creative fun. Recommended to me by @JenniH68, I played this over a few weeks and loved it. You can watch a demo here. Another beautiful app that promotes logical thinking. The images in this are fantastic for story / descriptive writing too. I use them regularly for 'talking picture' groups. I really like this app because I can see it's place with my children at school and how they can start to learn basic coding with it. Yes there are glitches and it isn't perfect (read the review on the app store), but it's a great starting point - and it is free. I have blogged about it in more detail here.